First SealGuard ground the surface. Then they repaired the cracks deep in the fissures, so the patch would not be visible. Afterwards, they applied the Trojan Color Sealer (Cordova Tan). 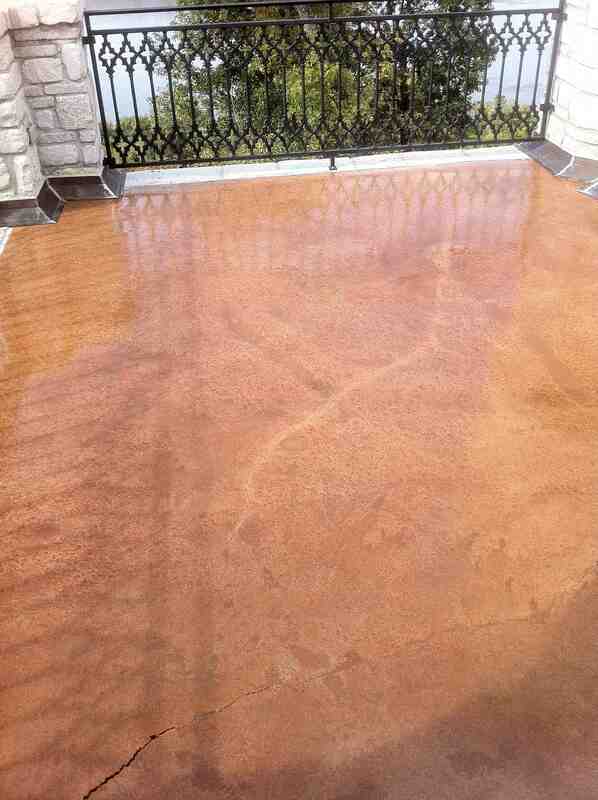 As Trojan Color Sealer is a true penetrating sealer, it is not a high solid content product to bridge the cracks. Therefore, SealGuard then applied a clear polyaspartic as a top coat to ensure no water seeped through to the floor below from the fissures.